People sat in the aisles, crowded into the doorways, and filled the back of the room. Clearly, this Friday’s panel at noon was a popular topic; in a nutshell: how to write about our deeply personal and often controversial experiences in a way that benefits others? Or perhaps it was the presence of truth-telling goddesses like Lidia Yuknavitch (author of A Chronology of Water and Dora: A Headcase,) or Sy Safransky (editor of The Sun) that drew in the masses. In any case, the room was abuzz with anticipation. The opening remarks of the moderator, Krista Bremer (associate publisher at The Sun), set the tone of transparency when Bremer confessed her ambiguity towards the title of the panel. In memoir writing, it’s not the writer’s job to provide “full disclosure,” Bremer expressed. Memoir is not autobiography nor a dossier; we must omit whatever parts of our lives do not serve the story at hand. It’s not about spilling your guts– that’s for your diary. We must, of course, revise and refine before we have something that’s publishable or useful to the world. Safransky also weighed in on this question of truth in memoir, expressing the importance of holding the intention to adhere as closely to the truth as we can. But he also spoke about how “imposing any conceptual framework on our lives is tricky,” and how elements of truth can be compromised for the sake of trying to impose a narrative arc on our story. Safranksy also disliked the panel’s title, (which made me wonder, who conceived of it? ), although he did attempt to address the ‘how to’ part of it, mostly by reminding us to not rush to publish something too early. Regardless of how any one person might respond to our work, you know that “when you hit the point away from ego and toward all of us together writing the story of how to write about surviving life,” said Yuknavitch, you know you are on the right track. “Everywhere I go now I try to convince people that there’s no such thing as memoir, that it should be called we-moir,” she proclaimed. And indeed, that is why so many of us love memoir: it helps us touch upon the essential truths of our own experiences; to find commonality with others; and to know that we are not alone. Not every memoir is going to move us, and not everyone is going to approve of what we disclose. But if we keep striving to write what is raw, brave, and true, alongside engaging in the hard work of copiously rewriting, finely crafting, and compassionately rendering our experiences, we may well alight upon that higher calling: to write in service of the world. Anne Liu Kellor is a Seattle-based writer and teacher who has received support from Hedgebrook, 4Culture, Hypatia-in-the-Woods, and Jack Straw Productions. Her essays have appeared in publications such as the anthology Waking Up American: Coming of Age Biculturally (Seal Press), The Los Angeles Review, and on her blog: heartradical.blogspot.com. Anne’s memoir, SEARCHING FOR THE HEART RADICAL, follows her quest for language, love, and belonging as she migrated between China and America during her twenties, and is now in search of a publisher. From the sounds of it, a transcription from this panel should be compulsory reading for all those writing memoir. 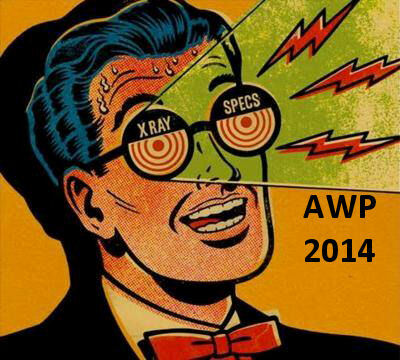 A really useful summary, thank you Anne and also to Brevity for running the AWP series. You are currently reading AWP 2014: Full Disclosure: How to Spill Your Guts Without Making a Mess at BREVITY's Nonfiction Blog.